Bucktown, a neighborhood that sits just northwest of the Chicago Loop has seen its history change with the decades. It was settled in the 1800’s by Polish workers who gave it the name “Kozie Prery” (goat prairie in Polish) because of the large number of goats that were raised there. 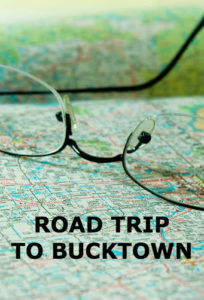 Male goats are bucks, and the name Bucktown stuck. Originally popular with European immigrants, the mid-1990’s brought in other new residents from Cuba, Puerto Rico, and later Mexico, adding to the rich cultural and ethnic diversity of the area. Today old buildings are new lofts and modern condos have joined the restored homes. One of the restored gems in a place called Ray’s Bucktown B&B, a perfect place to stay while you explore the neighborhood. The Goddess and The Grocer, a deli and bakery that has yummy food and offers pre-packed picnics. Rio’s d’Sudamerica, a rave-worth Peruvian restaurant. George’s Hot Dogs, a neighborhood fixture for 60-plus years. Mondy’s Hot Chocolate, a luscious must-stop for every sweet tooth. Shopping gets series on Damen Avenue in Bucktown where home decor shops rule. Walk up and down and you can break a budget outfitting your house, or just have a ball looking. Plan to stay at Ray’s Bucktown B&B and take in the true flavor of the area. The ivy covered brick façade oozes charm. Inside the 11 rooms and common areas are chic and modern and come with delicious cooked-to-order breakfasts. A bonus of the the B&B: an onsite sauna and steam room. Ray’s Bucktown B&B is a member of the Illinois Bed & Breakfast Association… members of the Illinois Bed and Breakfast Association and offer a unique lodging experience! 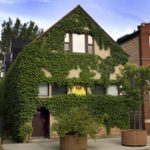 This entry was posted in Illinois Bed and Breakfasts, Local attractions, Touring Illinois and tagged Chicago area attraction, Illinois B&B's by admin. Bookmark the permalink.